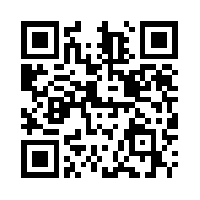 Scan this code to subscribe! For those unfamiliar with the insurance industry or corporate financing "janitor's insurance," sometimes termed "dead peasant's insurance," are life insurance policies corporations buy "on" (not "for") their employees whereby the corporation is the named beneficiary. (See my related March 20, 2013 interview with Prof. Kochenberger.) Beyond the moral objection of profiting from an employee's death, even in instances where the person dies years after they left their employer, these polices perversely incent companies to compromise on insuring employee health and workplace safety. These life insurance policies have been bought in bulk by the financial, service and other industry sectors and today make up a substantial percent of all life insurance policies. There's however another, more literal form of "janitor's insurance" that's equally if not more morally objectionable and perverse if for no other reason than in this case there are no third-party stockholders to satisfy. Along upper Connecticut Avenue in the District of Columbia, where average annual household incomes substantially exceed $100,000 (more than twice the District's average), my, now former, 4707 Connecticut Avenue neighbors, not unlike many other condo residents and their governing boards throughout the area, intentionally do not employ their custodians. This has been the case at 4707 Connecticut for over the 20 plus years their janitor has been polishing the building's brass features, vacuuming its carpeted halls, watering its expensive landscaping and hauling curbside the residents' considerable trash. The janitor has instead been employed by a cleaning service agency. This decision is expressly for the purpose of attempting to avoid paying for the janitor's healthcare. As the building's management company representative told me bluntly and without hesitation, we do not employ him because he is in poor health. The janitor's employer does provide him some amount of health insurance but of what quality is completely unknown by the building's residents nor their concern since, again, he's not their employee. If intentionally making the janitor a subcontractor to claim he's not the building's employee (not their responsibility) sounds like a perfect example of the fallacy of circular reasoning, where the conclusion is the premise, you would be correct. Logic aside, this form of janitor's insurance is similarly morally abhorrent. Here the building's residents do not price his death, they devalue his life. This is done of course in a state, again the District of Columbia, that ranks first in income inequality and where there also exists the greatest disparity in male lifespan. African American men in DC, one of whom is the janitor, die on average 15 years younger than whites, or the uniform race of building's condo board. Even dispensing with moral duty, it's a fool's errand. The building's residents have been paying for the janitor's health care insurance all along since assuredly the cost has been embedded in their cleaning service contract. Even when it comes to healthcare "free" is a four letter word. It only gets worse when you realize the residents could readily ensure the janitor obtains optimum quality, substantially subsidized health care insurance via the Affordable Care Act and easily pay the balance of his premium with moneys saved from its canceled cleaning service contract. More likely, since the janitor's compensation is modest, he likely qualifies for DC Medicaid in which case the building's residents would pay for none of his health care (since it's already a cost paid by their state tax). You might think in a wealthy, solidly left-learning neighborhood the building would be at least marginally enlightened. They're evidently not. They have no mutual or shared obligations. They face no, as President Obama phrased it, "defining challenge." There are no moral questions, just economic ones. We're a market society. However unintelligible, our raison d'être is cost efficiency. We do not value a human life, certainly not a janitor's life, we just commoditize it. All that's left is to bundle janitor's life with janitor's health insurance. During the Affordable Care Act's (ACA) first open enrollment period last winter eight million joined the ranks of the health care insured. For both the newly insured and for those with existing coverage the greatest benefit or value in having health care insurance is arguably access to primary care since these services promote wellness, prevent disease onset, progression, exacerbation and premature death, moderate the need for higher-cost specialty care and improve population health by more equitably distributing health care services. Having a usual source of care is also important since no one can predict his or her health status tomorrow. Primary care is considered the bedrock of effective health care delivery. The question begged therefore is what is the future of primary care delivery? To what extent will we have timely access to primary care and how adequately will primary care providers deliver services be reimbursed and engage patients? Since primary care is only one part of health care let us start with some context. How we deliver and work to reform health care is irrational if not incoherent. One explanation is we live in a kludgeocracy. That is we govern by patchwork or where policy decisions are painfully complicated moreover to conceal the fact we are internally conflicted. In theory we want limited government while in practice we want government to keep its hands off our Medicare Part A, B, C and D. This helps explain the latest kludgey solution to health care that is the 1,990-page Affordable Care Act. While it is widely known we spend well over twice what comparable countries spend on health care what is less known is these costs are due in large part to our over medicalized, "a pill for every ill," approach to health care. Among OECD countries the US is first in health care spending but 25th in spending on social supports. This is particularly striking considering medical care only accounts for 10-15 percent of one's health status. Beyond the lack of transparency, health care prices are inflated because hospitals and health plans are highly concentrated in well over 80 percent of markets. That is they enjoy pricing power. A consequence of the ACA is providers and payers are borrowing against future revenues from the newly insured to consolidate further by accelerating the pace of mergers and acquisitions. Pricing is also skewed upward because the American Medical Association (AMA) is tasked with determining Medicare physician service and procedure pricing codes, that are also adopted by the preponderance of all other payers. In this example of regulatory capture the AMA - not surprisingly - has over-priced medical specialty procedures that in turn drive physicians to "practice to the codes." Waste, that includes over-utilization, is estimated at 30 percent of all health care costs (or $750 billion annually). Health care quality is in a word abysmal. We still pay for health care irrespective of adequate clinical evidence, value or quality outcomes. Among chronic symptoms pain is vastly under-treated. Quality measurement remains at best an inexact science that may explain why physicians are loath to report their data on quality so less than a third do so. Since we pay for care by provider type you cannot get palliative care unless you are terminally ill and elect the Medicare hospice benefit and in doing so you have to give up all curative treatment. There are substantial geographic and racial disparities in health care. Amputation rates for example are almost five times higher for African Americans than whites. The industry had to be bribed via incentive payments to adopt what is today rudimentary information technology. All this pales in comparison to the fact medical errors injure and kill hundreds of thousands of people every year. Researchers have argued for over a decade medical errors are the third leading cause of death in this country after heart disease and cancer. Nursing homes for example kill approximately 15,000 residents annually through the misuse or off label use of anti-psychotics. The pharmaceutical industry has been fined billions of dollars in the recent past for off label marketing yet this has not been a deterrent likely because off label use accounts for an estimated 20 percent of pharmaceutical sales. Further, neither the health care industry nor the federal government believe it necessary to attempt an accurate accounting of medical harm. Errors are commonly interpreted as the result of "system" not individual failure. This is a fantasy. In the real world there are no "systems." There are only people interacting. Attempts to improve the quality of health care delivery are based on the naive belief that we can simply transfer, like money, research evidence into the clinical practice setting. If this approach was effective, if research was self-announcing (or context free or meaning independent) and if reasons were causes, clinicians would at minimum routinely practice appropriate hand hygiene. They do not. Regardless of whether you are insured, health care coverage does not guarantee you access particularly if you are a Medicaid patient trying to find a physician. Because Medicaid reimbursement pays less than Medicare or private insurance, only two-thirds of physicians accept new Medicaid patients. Medicaid, that serves the poor or those most in need of health care, is also compromised because half the states are not participating in the ACA's Medicaid expansion leaving eight million individuals uncovered. There is also the five million that fall between earning too little to qualify for federal subsidies and too much to qualify for Medicaid and the 14 million legally residing immigrants that are neither eligible for ACA subsidies nor generally Medicaid coverage. Keep in mind the Medicaid program is historically under-subscribed with estimated enrollment rates of less than 60 percent. Over twenty million of the un- and under-insured commonly turn to federally supported community health centers (CHCs) for their care. However, next year CHCs face a 70 percent funding cut since it is unlikely the Congress will renew the $11 billion in related ACA monies after they dry up next year. As for the default you can always get care visiting an emergency room, hospital chains are increasingly implementing a first pay policy causing tens of thousands of patients to leave without being treated. Despite the ACA's coverage expansion 30 million people will remain uninsured even after the law is fully implemented. While we do not ration care by queue or by for example limiting the number of MRI scanners we do ration care by price and the ability to pay. Worth noting as well are the social determinants of health since they are more responsible for your health status than medical care. These include issues concerning education, earned income and wealth distribution, housing and transportation. You might think social determinants would be difficult to ignore if you worked in Washington, D.C. since the nation's capital ranks first in inequality (DC has the country's highest Gini coefficient) and where there is also the greatest disparity in male lifespan. Compared to whites, African American men die 15 years younger. This is not case for Congressional members. A few years ago Congressional Research Service staff admitted they had never worked on the topic because no Congressional member had ever asked them. From the patient demand side we experience high rates of disease, particularly high rates of disabling disease (for example stroke and arthritis) with no discernible compression of morbidity or disease with fewer consequences. We suffer more disease and injury throughout our lives, die earlier than our counterparts in comparable countries and our health disadvantage is worsening. This holds true even for those with healthy behaviors and those that are highly advantaged or moreover white, college-educated and insured. This is due in part to the epidemic of so-called lifestyle diseases. With over one-third of Americans obese, after tobacco use obesity ranks as the second leading cause of preventable or early death. Diagnosable mental health disorders, that effect 25 percent of the adult population, remain woefully under-diagnosed and treated. One study of emergency department patients showed psychiatric illness was under-diagnosed by 75 percent. Beyond gun violence the other leading public health crisis begging redress is childhood sexual abuse. One in four girls and one in six boys are sexually molested. As for meeting the long term health care needs of the "age wave" (or the 10,000 individuals turning 65 every day that will grow the Medicare population from 49 to 86 million beneficiaries by 2035), two-thirds of current Medicare beneficiaries have two or more chronic diseases but only eight percent of adults have long term care insurance. This makes long term care a poverty program since only Medicaid covers institutional care. (Juxtaposed to France where your health care coverage improves as you become more ill.) The chilling effect from the 2009 lie of the year, "death panels," leaves person-centered or advanced care planning far from routine and the people providing the lion share of care for those with chronic eventually fatal illness, family caregivers, get no policy support. The first question of course is are there currently a sufficient number of primary care physicians or PCPs. (PCPs are general and family practice physicians, internists and pediatricians). The consensus answer is very likely no. The answer is not definitively no because it is difficult to calculate how many PCPs will be needed when it is unclear how many there are. Estimates of the current number of practicing PCPs range widely from 200,000 to over 300,000. Also, there is no agreed upon ratio of PCPs to x patients and if (a big if) PCPs were to delegate more of their preventive and chronic care to non-physician trained clinicians or practice "shared care" there may actually be a PCP surplus. That there is and will be an insufficient number is because presently PCPs are substantially mal-distributed. (The U.S. does not effectively regulate the number, type and distribution of health care professionals.) Rural areas have less than half the rate of PCPs as urban areas. This explains why the federal Health Resources and Services Administration has identified 6,000 Primary Care Shortage Areas in need of 8,000 PCPs. PCPs do not typically delegate clinical care to lesser trained clinicians. This is in part because a quarter of PCPs are in solo practice and because many state scopes of practice laws do not allow physician assistants, nurse practitioners and other lesser trained clinicians to practice unsupervised (although the trend is toward liberalizing these laws). It is estimated that currently over 60 million Americans have inadequate access to primary care and this number will likely get worse since the shortage of PCPs will grow to somewhere between 20,000 and 62,000 by 2020. When you consider the health care needs of seniors, whom account for more than a quarter of physician office visits, the future looks worse since the shortage of certified geriatricians is expected to triple from 10,000 today to 30,000 over the next 15 years. The apparently obvious solution is to train more PCPs. This assumes however there will be a sufficient number medical school graduates interested in choosing the profession. This is doubtful since in overpricing specialty procedure codes the AMA has under-priced PCP services. (The AMA's work is budget neutral, somebody wins if only somebody else loses.) Over the course of a 30-year career it is estimated PCPs make $3 to $10 million less than specialists. As one search firm executive in 2012 Congressional testimony put it "no one wants to be Marcus Welby any more." The Congress could at any time increase the Medicare budget to fund more primary care residency training but there is reason why it has not done so since the last time it addressed graduate medical education 17 years ago. Medical school could be shortened to three years (NYU recently offered the option). We could make it substantially easier to license foreign-trained physicians and have certified nurse midwives provide more maternity care but it is called the "medical establishment" for a reason. Even if PCPs were trained it is uncertain they would serve the unmet demand since physicians tend to practice where they are trained, that is in urban settings, exacerbating existing geographic imbalances. Increasing the PCP supply does not necessarily improve patient access and satisfaction anyway since, counter-intuitively, patient outcomes are no better in regions with larger supplies of physicians. In fact more PCPs may just create more supply driven demand. While physicians are unhappy, PCPs are particularly unhappy. In a 2012 survey, physicians of all types were consistently negative about the future state of health care particularly because of the believed loss of clinical autonomy and excessive regulation. Over 60 percent said they would retire if they could and over half said in the next few years they would reduce patient access, their hours, or retire. Among PCPs specifically over 70 percent were negative about the future of the medical profession and its ability to deal with future challenges. Over 80 percent agreed their profession is in decline and over 50 percent were negative about their own morale. Over 50 percent would retire today if they could and a similar percent would not recommend medicine as a career to their children. Other PCP survey data shows only a minority of PCPs believe health information technology extends time and improves patient communication, improves their decision making, work flow and profitability. While PCPs are strongly opposed to using nurse practitioners and others to provide more care only a minority believe they can take on more care responsibility or assume greater financial risk. One increasingly popular way in which PCPs are remedying their unhappiness is converting their practices to concierge medicine. Alternatively termed membership or boutique medicine, concierge practices require insured patients to pay a monthly or annual premium in order to remain under their physician's care. The more radical version of concierge medicine are cash only practices which are exactly that. Annual concierge premiums range widely from under $100 per month to four figures and above annually. For paying the premium patients are promised greater and more timely access, longer appointments and services not typically reimbursed by insurance. The concierge firm MDVIP for example offers enhanced wellness screening which includes emotional well being and sexual health testing. The intent is to improve care quality and both the patient's and physician's clinical experience. For these reasons concierge medicine is particularly popular among PCPs. While there are today only 5,500 concierge practices nationwide the model is approaching a tipping point since these practices are growing at a healthy 25 percent year-over-year clip. This may be good news for those patients that can afford the premium. It likely improves physician morale. They can reduce their patient panel size by up to 75 percent or down to as few as 500 to 600 patients since the concierge fee even for a substantially smaller patient panel can easily approximate or exceed $1 million annually. It is difficult however not to see concierge medicine as anything other than a tragedy of the commons since what is good for the individual may not be good for the population. The model by definition exacerbates access problems particularly for the sickest patients whom are less likely able to afford the premium since again they tend to be poorer. These patients can face difficulty finding a new physician especially if they are Medicare beneficiaries. Beyond a third of whom have a cognitive or mental impairment, half of Medicare beneficiaries have annual incomes less than $22,500 and for Medicare minorities annual income is less than $15,000. Also, since many concierge practices work in concert with Medicare they create a second class of Medicare beneficiaries. This is not what a public program is designed to do. Many health care policy experts argue the fundamental problem with primary care, the reason it lacks adequate human and capital resources, is it attempts to be all things to all people. Delivering more and more care is a flawed formula since volume is not a surrogate for value. What primary care lacks is an overall strategy, an organizing framework. Harvard's Micheal Porter argues it should be one where primary care meets the needs of a discrete, not heterogeneous, patient population by demonstrating superior outcomes and reduced costs for certain patients subgroups. No matter your view presently there is a substantial amount of experimentation in how in primary care can be better delivered. Numerous provisions in the ACA, including the creation of Centers for Medicare and Medicaid Innovation (CMMI) provided $10 billion to develop new service and payment models, promote the decades-old primary care medical home, now termed the patient centered medical home (PCMH). Today the vast majority of states are conducting PCMH experiments and all payer types are participating. While there is no standard PCMH definition there are an agreed upon set of principles that include care being team-based and care that emphasizes patient access, care coordination, continuity of care and the use of information technology. There are so called direct primary care models intended to provide patients more proactive preventive care via substantially improved access and reasonable costs. Since five percent of the population consumes 50 percent of health care costs there are programs termed high intensity primary care where employers offer to better manage the care and costs of those employees with complex or multiple chronic conditions. There are related programs paid for by public insurers attempting to reduce the disproportional amount of health care resources consumed by "super-utilizers." Employers are also increasingly offering work site prevention or wellness programs. In 2000 the first retail health clinic opened. Today, there are approximately 1,600. The number is expected to double within the next few years because they offer greater convenience and lower service costs since they are staffed more by nurse practitioners than PCPs. Large pharmacies, owners of the majority of retail health clinics, are also increasingly providing on-site primary care. There is a growing number of primary care kiosks using high-definition video, mobile health clinics, school-based clinics, and "medical neighborhood" service providers including for example the YMCA's program to prevent diabetes. There are telehealth programs to monitor remotely the chronically ill or to avoid re-hospitalizations for those with chronic heart and lung disease and there are an increasing number of companies, such as HealthConnect, dedicated to delivering disease management services for patients at home. There is considerable hope these primary care practice reforms will succeed. Will they is anyone's guess. One recently published study concluded 32 PCMH practices caring for 64,000 patients over three years did not save money, reduce emergency or hospital use and found improvement in only one of 11 quality measures. The data is similar for Accountable Care Organizations (ACOs), or the ACA's Medicare "shared-savings" provision intended to provide beneficiaries better care at lower cost. This past January the federal government announced only a quarter of 114 ACO providers saved enough money to generate for themselves a bonus payment. Beyond performance questions, smaller group physician practices (those with less than nine physicians that make up nearly 90 percent of all physician office visits) are far less likely to adopt a PCMH (or ACO) care model due to the prerequisites requiring substantial financial investment and greater staff and infrastructure resources particularly information technology. Some physicians are also not predisposed to, or find unsatisfying, transitioning to a more collaborative, team-based care model. They see it as a further erosion of their clinical independence. Some studies show patient satisfaction actually declines in part because patients find the new model of care disorienting. Even if PCMH demonstrations proved successful since the PCMH is defined simply by principles of care (there are as well multiple levels of PCMH recognition), scaling up or replication is far from given. Direct primary care typically lacks a wrap around insurance product to cover more medically-intensive services. Corporate wellness program participation is limited and considered by some a way to shift health care costs to employees genetically disadvantaged. Retail health clinics operate in already adequately supplied areas and since they provide episodic care the primary care establishment complains they undermine continuous and whole person care. Telemedicine remains more promise than product because Medicare reimburses for telehealth services only on a very limited basis and since Medicare is the "market maker" other payers follow. Reimbursement is inherently tied to delivery reform. Like health care more broadly, the PCMH remains essentially a fee for service payment model. That is physicians are paid for each discrete service or procedure. However, here the insurer also incents the PCMH provider by paying a monthly per-member-per-month (PMPM) fee that varies from less than $1 per month to over $50 for patients with multiple chronic conditions. PCMH practices, like ACOs and derivatives thereof, can also earn bonuses if they generally improve care quality and reduce hospital costs. Should they choose providers can also take on reimbursement risk meaning the clinician manages treatment costs for some services and items (partial capitation) or for all (full or global capitation) within a predetermined payment arrangement. CMMI has also launched other related primary care demonstrations including a four-year comprehensive primary care initiative that pays a PMPM and a share in any possible cost savings from delivering intensive care management that includes an individual care plan and 24/7 access to care. There is also a multi-payer advanced primary care demonstration concluding in 2015 that is attempting to reduce unjustified variation in utilization and expenditures by allowing the eight participating states to define their own delivery model. Among state efforts, in 2009 Rhode Island began a five year program requiring private insurers to spend an increasing amount of money annually on primary care. By the end of 2014 the state expects spending to increase from six to 11 percent. Rhode Island hopes this policy will increase PCP compensation and/or the PCP supply. Among PCPs themselves there is growing interest in scheduling shared medical appointments since by grouping like patients PCPs can measurably improve productivity while billing Medicare for treating patients individually while in a group setting. Like delivery reform whether reimbursement improves and improves primary care is unknown. While pricing or reimbursement explains the PCP shortage and why primary care patient visits are abbreviated, it is worth noting primary care is cost efficient. Again, compared to greater procedure-intensive specialty care, primary care services are priced substantially lower. This is reflected in at least two ways. While 46 percent of all office-based visits were to primary care offices in 2009, PCPs only accounted for 30 percent of office-based visit costs. From an income perspective, US specialists are paid much more, over one-third more, than their comparable counterparts overseas. PCPs are paid approximately the same as their overseas counterparts. This is worth considering when you realize the ACA is expected to drive an additional 25 million primary care visits and the law incents patients to visit their PCP by eliminating copays, requiring insurers provide certain "essential health benefits" and for two years paying physicians higher Medicare primary care rates for Medicaid patients. These points aside, improving primary care reimbursement is not helped by the fact PCPs remain under-represented on the AMA committee that recommends prices to CMS (Centers for Medicare and Medicaid Services). For its part, historically at least CMS has accepted AMA's recommendations without much complaint. There is the possibility of re-balancing physician fees or incenting primary care if the Congress ever chooses to repeal the failed Medicare "Sustainable Growth Rate". In theory a formula to control annual Medicare cost growth but in practice almost never enforced by the Congress. The Congress had an opportunity to repeal the 1997 law earlier this year. Though the price of repeal was at a surprisingly low budgetary cost, the Congress still failed to do so. Fee for service is widely criticized since physicians drive up unnecessary volume to make up for slowing reimbursement growth or "up code" a patient's acuity to receive higher payment. Even if we shifted away from fee for service to bundled payment, a form or capitation, it would trade one problem for another since we might wind up just driving more bundle payment episodes that would be more cost efficient but still unnecessary. Worse still we could, as in Germany, cause physicians to close their offices for however many remaining days after they billed for the payment period's capitated amount. The best solution may be paying providers to manage an entire population's health since then services, necessary or not, would then constitute a cost not a profit to the provider. This is almost certainly a bridge too far for too many. In sum, no one is certain what is the best way to financially incent optimum primary care. Even if we did know survey data clearly shows the vast majority of PCPs are very hesitant to pursue willingly any kind of incentive-based or capitated reimbursement model. Leaving aside the question of how much money is required to more-often-than-not successfully incent ideal care, there is the more fundamental concern that incenting physicians could coerce them into limiting a patient's autonomy and could, akin to paying kids to read, erode non-market norms like pursuing health for its own good. Where is the patient in all of this? As already noted we are comparatively sicker, die younger and are health disadvantaged, or our ability to control disease is worsening. Among 17 other high-income countries we face the second highest risk of noncommunicable disease notably cardiovascular disease and the fourth highest risk of dying from infectious disease. Whether it is the cause or the result we visit the doctor less frequently and have comparatively lower hospital admission rates and shorter hospital lengths of stay. The common complaint nevertheless is patients over-consume health care resources since they do not have sufficient "skin in the game." That is financial risk. Leaving aside medical bills are the leading cause of personal bankruptcy; the fact we more often than not ask for less care when fully informed about treatment options; market pull, along with New Zealand we are the only other country that permits direct-to-consumer pharmaceutical advertising; and again, the existing-likely-to-grow-worse shortage of PCPs, for the foreseeable future health care policymakers and the industry will continue to shift financial responsibility or costs to the patient. Efforts will continue to further means test Medicare benefits and raise the Medicare eligibility age. Beyond shifting more premium costs to employees, self-insured employers are increasingly offering high deductible plans only or phasing out coverage starting with retirees and spouses. Annual increases in individual insurance premiums may be best understood by noting the ACA subsidizes coverage up to 400 percent of the federal poverty level. There is also medical tourism - over 1 million are expected to travel outside the US in 2014 to seek cheaper medical care. Beyond the quality problem of access that federal data shows is worsening, in a widely cited study published in 2003 Beth McGlynn and her colleagues concluded delivering routine preventive services was far from ideal. They found only 55 percent of adults received recommended preventive care services overall and, for example, only 45 percent of heart attack patients received highly effective beta-blockers. In a related follow-up study this held true even for patients living in highest income areas. Of all 37 preventive care quality measures the federal Agency for Healthcare Research and Quality (AHRQ) tracks the latest data shows more than half, or 20, are either worsening or not changing. Primary care quality is worsening for maternal deaths, hospital admissions for asthma, women receiving a Pap smear, blood sugar screening for diabetics over 40 and hospital admissions for diabetics 18 or older and for hospital admissions for advanced pressure ulcers. For the 93 disparity measures AHRQ uses to compare various minority populations to whites and poor, low and middle income to high income patients, only one measure shows improvement. Health care delivery ultimately takes place at the point of contact when the patient and the provider actually interact. Once you appreciate this fact you know why we have poor care quality. One out of two patients leaves a medical visit not understanding what their physician recommended. Medication prescribing is done so poorly half of all patients do not take their pills as indicated (that is linked to over 100,000 deaths annually). As for health care plans, they rank last among 14 industries in consumer engagement. "Delivering" health care exists in the realm of phronesis (practical wisdom) where deciding a treatment option is a deliberative, real time, interactive process that is always situational and value dependent. (Patients, people, are inescapably self-interpreting.) This means health care emerges from relationships and the better the interpersonal communication the greater opportunity there is for finding a way forward or where the provider and the patient reach concurrence as opposed to whether the patient is compliant or not. Providers cannot expect simply following a model or guideline will produce an optimal health care outcome for the patient. Health care is ultimately a relationship-based business. While providers and researchers now talk increasingly about "patient centeredness," "patient engagement" and "shared decision making" it is far from clear whether these terms will legitimately ever resonate. Survey data shows PCPs are not working to raise their level of patient engagement because they are not convinced meaningfully engaging patients is worth pursuing. Oddly enough they view engaging a patient as an option and one that can be time intensive without necessarily being remunerative. Questioning the value of a self-aware, fully informed and self-determined patient is not an encouraging start. It appears primary care delivery is and will remain under pressure. Whether services erode further or whether primary care is able to reinvent itself in the near future such that it becomes more universal and of higher quality it is important to note that at no time can we say delivery has become dysfunctional or broken. None of this is by accident. However inadequate primary care delivery is viewed by outsiders, insiders want it this way. It is intended. As Don Berwick, the former CMS administrator, likes to say medical care is perfectly designed to achieve exactly the results it gets. We are where we are because medical school graduates for logical reasons seldom choose primary care. Other medical professions have out-maneuvered PCPs for greater reimbursement and primary care practitioners are understandably hesitant about giving up their autonomy or reinventing their practice to take on delivery and reimbursement reforms when they know risk is real and reward uncertain. People do not resist change. They resist loss. We are now attempting to fix primary care by ignoring loss and experimenting with change. Here we define change as we typically do. It is a supply-fix problem. There are too few PCPs so we need to train more. We need more access points. PCP services need more reimbursement, preferably if the services PCPs provide become more team-based, more coordinated with specialists and use more information technology. Patients again need more skin in the game. It is difficult to believe a supply fix will work and not simply because we are increasingly in a zero sum game. That is continued unabated cost growth is unsustainable. It is difficult to believe the Congress will increase the Medicare budget for any reason much less to fund more primary care training, that medical school graduates' motivations will change, that payment codes will be substantially re-balanced (that is zero sum), that PCPs will willingly alter their practice patterns and that randomly adding access points will somehow find unmet need. Even if, these efforts may be moot largely for two reasons. PCPs like all other physicians are becoming increasingly salaried by hospitals aggressively buying up solo, single and multi-specialty group practices and by the increase in payer-provider mergers. Insurance plans are acquiring health care clinics and hospitals are acquiring health plans. Consolidation can substantially relieve PCP status anxiety and provide PCPs the wherewithal to practice team-based, information technology-intensive medicine that can succeed in a slowly evolving fee for value or capitated payment world. Liberalizing state scopes of practice laws over time will mean more and more primary care services will be delivered by non-physician clinicians - whom are graduating a record rates. Through this decade physician assistants and nurse practitioners will exceed the PCP growth rate by eight and four fold respectively. (For the 50 percent of us that spend little or nothing on health care services we will be less concerned about keeping our physician and more concerned about keeping our nurse practitioner.) The hope is these two factors will improve efficiency and thereby squeeze out the enormous amount of waste in the health care sector. For the patient keep in mind also that even if primary care, the bedrock of effective health care delivery, is improved and health care more broadly is also reformed you would still only be ahead after the 1st inning. Again, medical care accounts for just 10-15 percent of your health status. Well over half of the $2.8 trillion we now spend annually on medical commerce is the result of unhealthy behavior. Regardless of whether primary care withers or not you moreover own your health. Caring for your health is not something you can buy.